Did you get the 2017.50 update? Some new, useful features. But the most fun... the new Christmas Easter Egg! My car is now a sleigh! 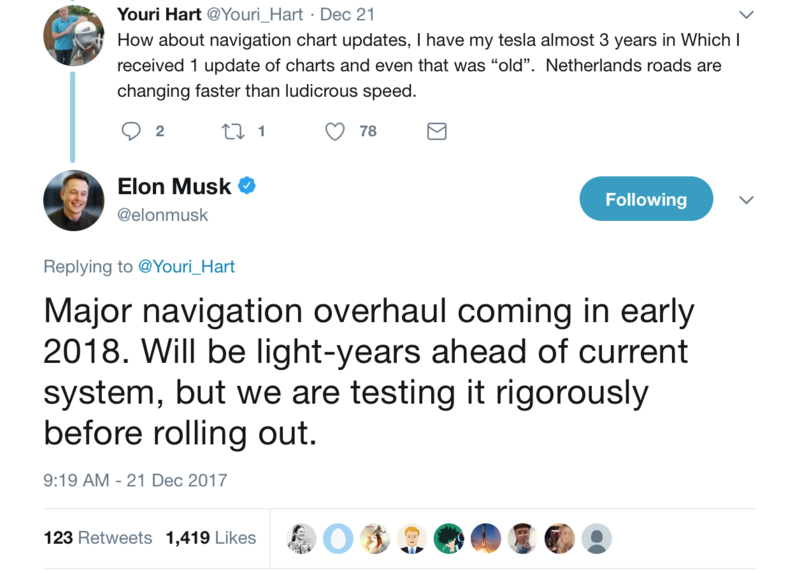 Update your Tesla app on iOS or Android. There are new features, including the ability to precondition your car on freezing days, allowing you to heat the battery using your home's power and extending your range. Wow! I can't believe it's been a year since the first Plug Your Ride podcast! THANK YOU for your support and, mostly, your emails and Facebook messages. 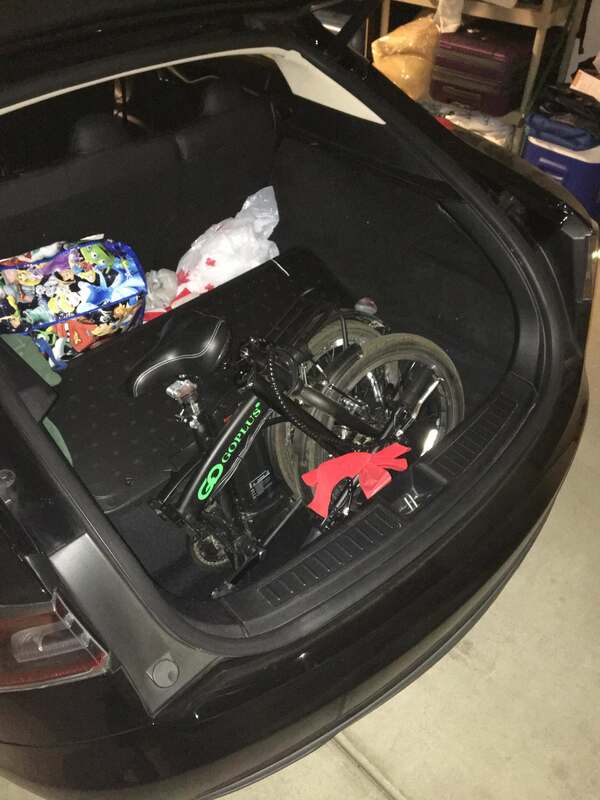 So, after I spend $800 on an Eddie-powered folding bike for the Tesla, Tobe & Sergio email to tell me about a great ELECTRIC folding bike they got for their Tesla. Fit's perfectly in the back AND helps with those uphill rides. FOR UNDER $500! The problem with Christmas gifts for Tesla owners is everything is so expensive. The blog Cars With Cords has put out a (short) list of some gift ideas, some as low as $10. I mean, I would LOVE to get Tesla logoed valve stem covers. Seriously! Made the annual Festivus road trip this weekend and decided it would be a good test for the trip planning options. Of the two sites, EVTripping came closer to predicting the needed charge. My old favorite, EVTripPlanner didn't plan enough energy reserve and, on one leg, didn't even recommend enough charge to make the leg! But, my favorite planner is now... the Nav planner in the Tesla. Just put in the destination and charge until the car says go! It's pretty accurate but I find that I lose about 5% immediately after getting back on the road. So, if you want to arrive with 15% let it charge to 20. Anheuser-Busch has ordered 40 Tesla Semis! That brings the total to over 200 orders. Forbes has named Tesla Model X 100D as its Car of the Year. A UK insurance company has begun offering a discount for Teslas with Autopilot enabled. Things are looking up for Model 3 production with several indicators that more reservations are being converted to orders. Tesla has won a court battle that allows them to return to the state of Missouri. Have you used Camper Mode? Did the sun get in your eyes? Here's a great hack! Got a road trip coming up this weekend! 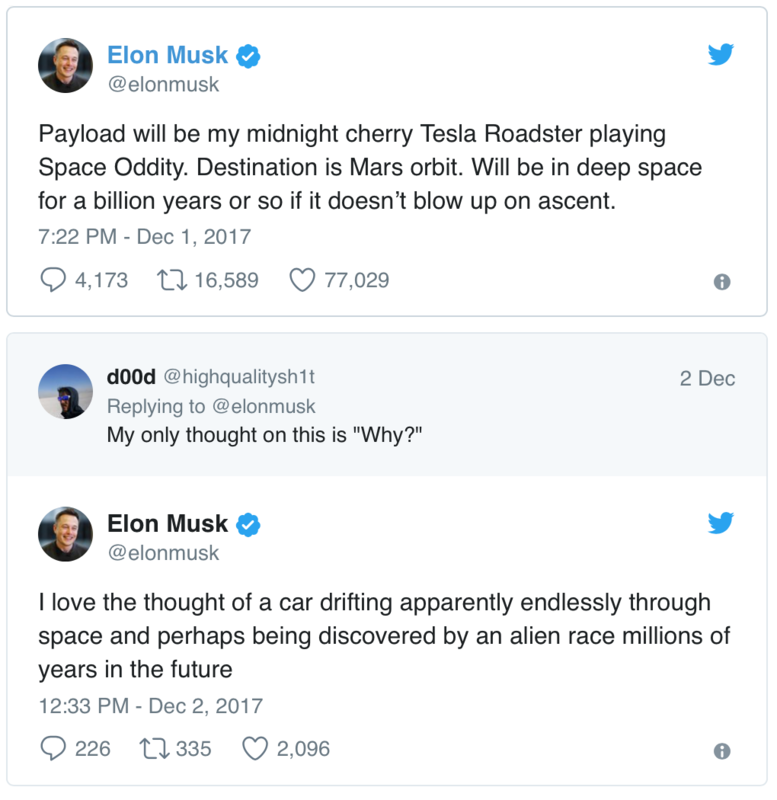 Excited to spend about 15 hours in the Tesla! Looks like the Boring Company is going to pitch for a Chicago Downtown to O'Hare loop. 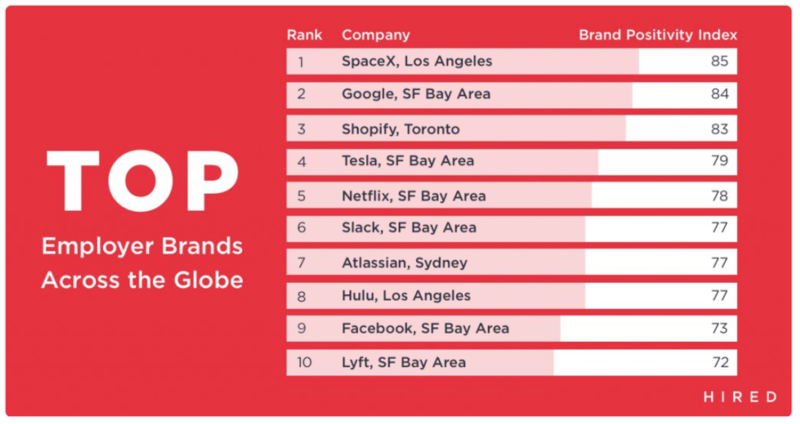 Elon Musk has two fo the top 5 places to work in the tech industry! Motor Trend got its hands on a Model 3 and ran its comprehensive tests on it. Panasonic is stepping up battery production, which should speed up Model 3 production. More bad news at Faraday Future as they lose ANOTHER executive. The Verge reports no one is even showing up for work anymore! Meanwhile, over at Lucid they are moving into beautiful new offices. Follow the link to check out some nice pics of the new digs. 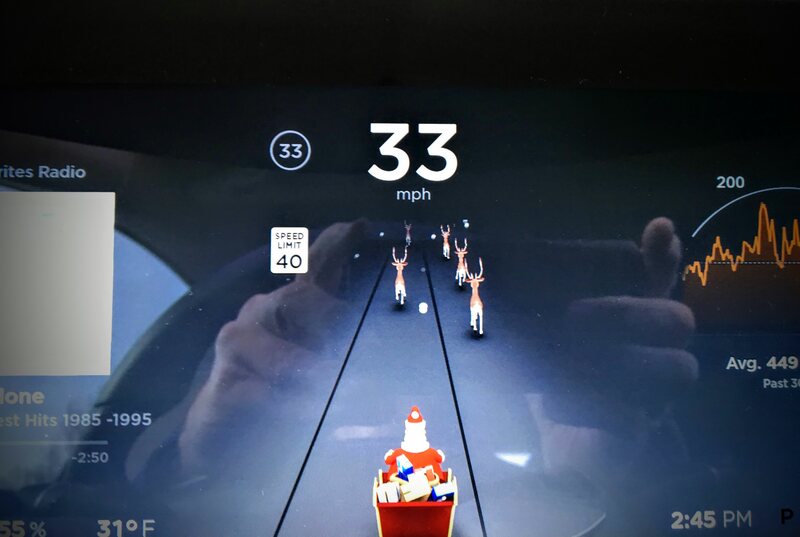 Put on a holiday show with your Model X! Step out of the car and enjoy the show!